I find it funny that even with the wave of healthy eating and things health-related, pizza and pepperoni business are thriving like never. Well, it looks like the number of people who find a delightful pizza irresistible is larger than those freaking out for their health. 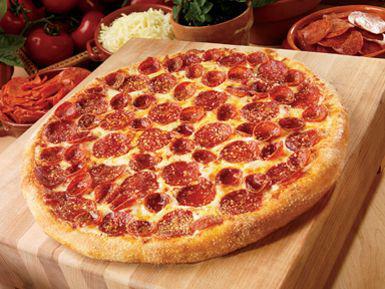 Pepperoni makes about 36% of all the pizza ordered in America per day. I know there are various other flavors but why do we love pepperoni so much? Pepperoni is a default pizza setting in America. No wonder it’s one of the most sold out pizza in the country. In this article, we delve into the world of pepperoni and specifically old world pepperoni. We want to find out what exactly it is and why it’s popular. We can’t understand the old world pepperoni without first understanding what pepperoni is. Pepperoni is a cured sausage also known as salami that is made from a mix of cured pork and meat or sometimes veal. It’s then seasoned with paprika, salt and other spices the result is then placed in a skin casing. In summary, the pepperoni is an airdried sausage that is spicy, fine, bright red in color, soft and smoky. They use drying, smoking, curing or freezing as the method of preservation. What is old world pepperoni? 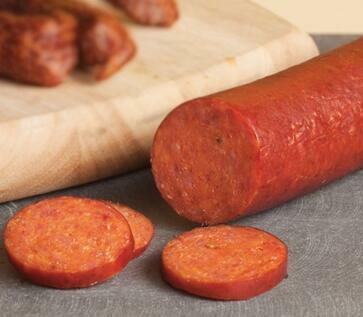 The old world pepperoni is also known as a sausage pepperoni. This is because it’s made using the sausage toppings and other spices like paprika and lots of chilli. It’s common in pizza recipes and loved by those who enjoy a spicy pizza. It’s important to note that this dish is purely American and not Italian as most would think. The word pepperoni though meaning big peppers in Italy, it came into existence in the 19th century in America. 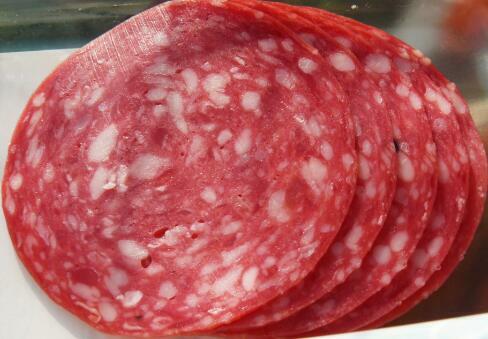 It was used to refer to a salami type that is American origin. There is no real indication as to where the name came from but, it most likely a derivation of the Italian word used to refer to the small peppers/hot chillis that flavour the sausage. The Italian word is pepperoncini and I think someone didn’t know whether the word referred to the peppers or the sausage and thus called it pepperoni. In the early 20th century most Italians began migrating to America. During this time, they mingled most of their traditional flavors to the American ones. In 1919 the word pepperoni was first mentioned in lower Manhattan, New York. At the time, Italian delis and pizzerias started using the toppings on their pizza. However, its different from the Italian sausage in that the meats used are finer than the ones used in Italy. It also uses the artificial casing while the Italian sausages use the natural casing. There is no clear history of the pepperoni pizza because we believe it originated in here but Italians believe it originated in 1730 when salami was first mentioned in Italy. On extensive research, you realize that there isn’t pepperoni pizza in Italian cuisine. So, this is conclusively an Italian-American invention that was inspired by the Italian salami. Since the 20th century, the pepperoni has greatly evolved. However, there are two major styles of pepperoni today. The regular one that is also known as the American style pepperoni and the traditional or better known as old world pepperoni. This pepperoni has its content stored in an artificial casing that keeps the meat intact and evenly distributed. Its sticks are uniformly straight and thick in consistency. They are easy to slice. It features a more orange color and its mild in flavor. Its spicy nature is between mild to medium. The American style pepperoni formation was a result of the people concerned about the old world pepperoni. Some people didn’t like the cupping, burning and greasing out nature of the traditional pizza. The manufacturers focused on making the pepperoni that wouldn’t char or cup during baking. Today, it’s the predominant pepperoni used on pizza. However, a good number of people still love the old world’s flavor and curly nature. There are manufacturers who have sorted to using the traditional sausage without giving it a natural casing to address the three issues above. This one like most Italian sausages uses the natural casing that is mostly from the sheep gut. It’s perceived to taste better because of its natural casing. The pepperoni features a bright to dark red color. For the spicy pizza lovers, this is for you. It’s spicier than the American style pepperoni. While its natural casing flavors it, its downside is that it’s hard to slice which makes its thickness vary. It usually becomes curly when cut. But why does it curl? It’s important that you understand why it curls right? Since it’s the most preferred pepperoni for its rich bacon flavor. You will discover that when you are baking the pepperoni it curls upward creating a discrete lip. Unfortunately, this cooks quicker than the base but they have a bacon characteristic. When eating it melts away just like bacon does. The thickness determines the heating rate. The pepperoni tends to shrink when the top cooks faster than the bottom and this causes the curling. The pepperoni is either made using the artificial or natural casing. The old world type uses the natural casing which shrinks when cooked. They are both sausages that are used in pizza and other foodstuffs. They both feature the use of pork and beef or chicken to make them but they some varying difference. It’s an Italian sausage that is cured. The Italian peasants discovered a method of fermenting the meat so that it can stay for years. This helped whenever they experienced a shortage of meat. It’s an Italian trademark that is spread all over the world today. It is made from pork, chopped beef, poultry and veal. You then mix it with your preferred spices, garlic, white pepper, vinegar, some fat or oil, salt and herbs. All these ingredients are in ground form. Once mixed properly, you then stuff them in an edible casing and let it cure. While it has some nutritional benefits, it has a lot of calories and fat. This is popular in America and is known as the American salami. 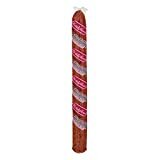 It’s a salami that is made using a mash of pork and beef. It’s a dry variety of salami that is usually spicier than salami. Although most people relate its origin to the spicy salami of southern Italy, its more of an American dish. From the names, you know that one is made using beef while the other is made using pork. It’s the nature of pepperoni to be a mix of both the pork and beef. However, in this case, only the beef is used. The beef pepperoni is commonly found in American pizzerias. It features a kind of beef that’s thinly sliced then added to enrich the pizza with flavor. In West Virginia, it is used as a filling to the pepperoni roll or other sandwiches. It features a red color, soft texture and smoky flavor. It’s the best choice for our Muslim friends who don’t use pork. This one like the previous one is just the normal pepperoni only in this case, the pepperoni is made using ground pork and other spices. You will find it in most pizza joints in America. Aside from the normal pizza, you may use the pepperoni in various other forms as listed below. This is basically a West Virginia snack. You will find it in various convenience stores around the state. You will find it in other regions around the Appalachian mountain as well. 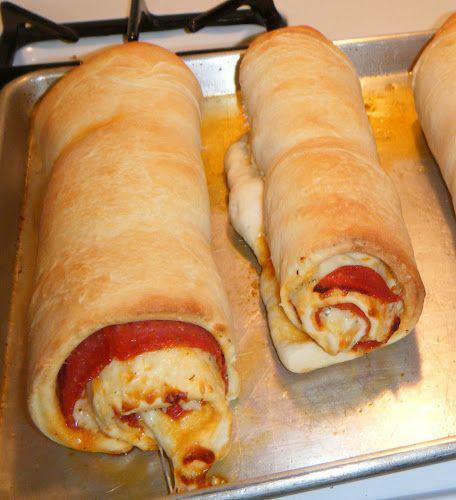 It features a bread dough that wraps the pepperoni. It was invented by an Italian-American called Giuseppe Argiro in 1920 while working in a coal mine. It features an elegantly simple dish with a massive history. Today this is a snack or dish that is enjoyed in the South and Mid-Atlantic regions of US. This is another common meal here. It’s served by several deli stores and may contain anything from pork sausages, cheese, veggies just anything. Most delis also offer the pepperoni in their sandwiches, this makes it more delicious. You may find it in panini, melts and other sandwiches across the country. 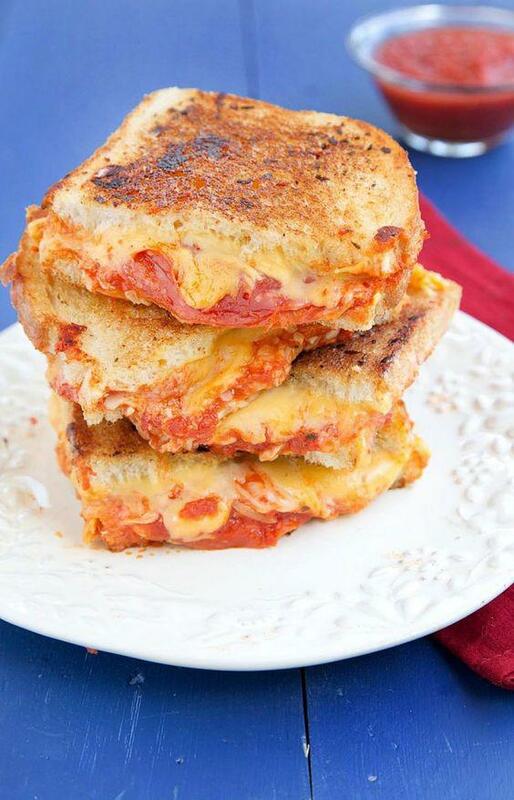 This works when you slice the pepperoni into thick slices and pair with the parmesan, cheddar or gouda cheese. It enhances the flavor while using its spicy nature to balance the creaminess of the cheese. You will find it being used in various other party snacks. A few thin slices of pepperoni will make all the difference. 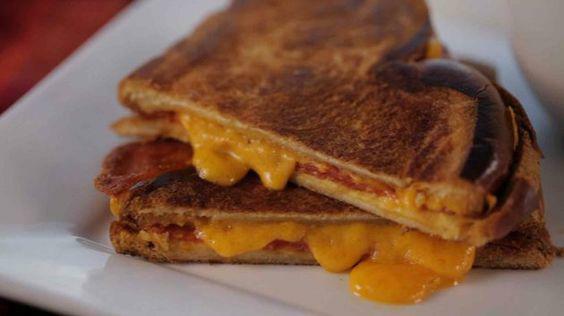 Anything that works well in a pizza will work best in a grilled cheese. You can pre-crisp the pepperoni first before adding to the sandwich. Do this in a skillet to hold the rendered fat for toasting bread. Try this recipe for it. When you have this midnight snack fun you don’t need to limit your pepperoni to pizza only. 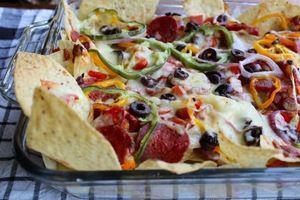 With this, you top your tortilla chips with the onion, pepperoni, mozzarella cheese and olives. You can add some thick tomato sauce. After the baking, you finish the meal with the jalapenos making it a yummy kind. You can buy pepperoni both online and offline. In the online stores, you may source them from Amazon, instarcart.com among others. Alternatively, visit your grocery stores and supermarkets for high-quality pepperoni. The most common version of pepperoni is the one that includes a combination of pork and beef. When making it, mix the ground pork and beef with spices and flavorings. You then add the salt and sodium nitrate to act as the curing agents. Nitrate gives the pepperoni its authentic color and the salt keeps it from developing microorganisms. The lactic acid bacteria that is normally used when making cheese and yogurt is then injected in the meat. This produces the lactic acid that lowers the PH of the meat making preservation easy. This mixture is then stuffed into the casings together with the fermentation ingredients for several days. The casings keep the mixture together during the cooking. You then heat the sausage at a low temperature. Next, you move them to the drying room where they stay for up to 20 days. It’s important to keep checking to confirm whether the meat is fully dried. After the drying process, you simply package them and take them to the market. Note that, some manufacturers add sugar for flavor and color. It also acts as an equalizer during the fermentation process. The best meat for the pepperoni is one that has less acid. A good casing should absorb the smoke which enhances its smoky flavor. It’s referred to as the American salami. Pepperoni pizza is made using a classic dough and marinara sauce. Then mozzarella cheese and pepperoni layer on it and lastly you cook it. 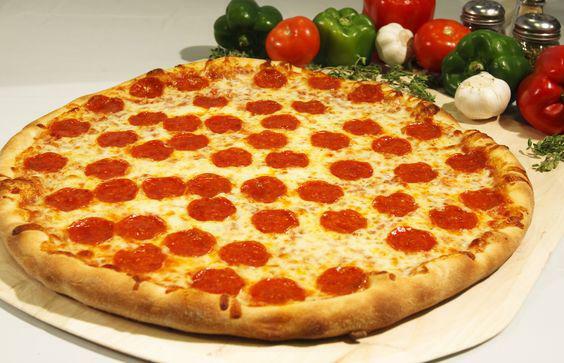 The first pepperoni toppings were utilized on other American pizzas between world wars. There are different kinds of sausages. Semi-dry and dry sausage, fresh sausage, smoked sausage, cooked sausage, smoked and uncooked sausage, lunch meats and meat loves. The pepperoni features the semi-dry sausage. Old world sausage is also utilized in the submarine sandwich variety. Both the old world pepperoni and regular pepperoni play a major role in the American pizza world. Pepperoni pizza is also known as pizza pie in America. Both the Italians and Americans claim to have founded the pepperoni but if you observe keenly it was the help of two worlds. With the Bridgeford company based in California, it prides itself of being a producer of high-quality products. It’s an award-winning company that doesn’t compromise on the set standard. The sausage sticks are some of the most famous dry sausage sticks in the market today. All the sticks go through a keen natural fermentation and drying process. All this happens in a high-end facility. No wonder, the unique taste has over the years been enjoyed by many. They use all the fresh and unique ingredients for the better taste. In fact, the company believes there’s no better tasting pepperoni than theirs. The sticks are versatile for use. You may use them for your pizza, pasta, salads sandwich and snacks. If you are gluten sensitive, worry not because it contains no gluten. However, to protect the flavor, it has the BHT and BHA. You and I can trust this brand because it has received the gold tasting award from the American tasting institute among other awards. Besides, at least for the few times, I’ve used their products I can attest to the fact that their quality is on the high end and maintained. The fact that the pepperoni has some history in Italy means that Italy will as well produce an outstanding pepperoni. These sticks are made from the fine cuts of meat and one package contains at least a pound of meat. It’s seasoned with the Italian style flavors for that zesty taste. Its then cured slowly and placed in the natural casing. Now, this is not the ordinary pepperoni, it’s the type that will leave you yearning for more. It’s made by a company that is authentically Italian. It is a high-quality product that will stand whichever temperature. It’s natural casing not only keeps the meats together but also retains its freshness. It’s made using consciously sourced meats. They are made with vegetarian fed beef and pork that have no added antibiotics or growth hormones. It’s a smoked kind of pepperoni that is uncured and smoked the Vermont way to retain all the flavors while maintaining the healthy aspects of the stick. This one is made without the use of sodium nitrate and it pairs well with your cheese. With ingredients like fennel, garlic, mustard seed and garlic the company develops a package that is spicy and delicious for use on your pizza, spaghetti meals and other dishes. There are many versions of pepperoni in the market that you may use. The above 3 are the best choices in the market in that order. If you wish to enjoy the different types of pepperoni get to understand them. Now you know that the flavor and spicy nature of the old world make it popularly used. However, note that most restaurants may use both the American style and old world pepperoni interchangeably. This is because most customers don’t know the difference.